The major objectives of this seminar is to empower participants to access their own healing abilities as well as use the universe's energy to help others heal. "The Healing Arts of Emei Qigong" teaches various methods for self-healing and for helping others heal. 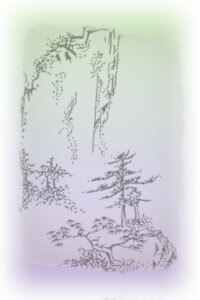 It also introduces other essential concepts of Emei Qigong. This Qigong healing training is open to all. No experience is required. It is beneficial to everyone, regardless of health conditions. There will be thorough instruction of the Wuji Gong form. This is the fundamental practice of Emei Qigong. "Wuji" means "No Limit". When the mind enters the "Wuji state", it enters tranquility, a return to the pre-birth state of nothingness, a state before man was formed. In this state, there is no limit to possibilities. In this qigong, no forms need be memorized nor special positions held. In Wuji Gong, you are sensitive to the inner movement of qi which directs your external movements. This method embodies the ultimate goal of all qigong. It is both the simplest and most profound method of qigong. The premise is that we have within us the knowledge and wherewithal to heal. If not blocked by thought, you can heal efficiently. If you need more qi in your brain, the qi will travel there. If your liver needs healing, the qi will be sent there to do its work. Your immune system will be strengthened if that's what your body needs. It impacts the muscles and bones as well. If you are stressed, depressed or anxious, your body's qi will address the imbalances and promote wellness. About half the class time is spent learning and practicing a variety of healing methods. These include movement, the healing sounds, empowered objects and other activity. We practice Wuji Gong every day and do at least two sessions of all other techniques. The other half of the time, there will be talks on the five causes of illness, an explanation of karma, the meaning of the yin-yang taiji symbol, how to sustain happiness and more. Dress in comfortable clothes. We will take breaks throughout the day. You can bring your lunch or eat at the food court which offers a variety of choices. I would be happy to travel and teach outside of San Diego. Please contact me if you would like to help host a seminar in your community.